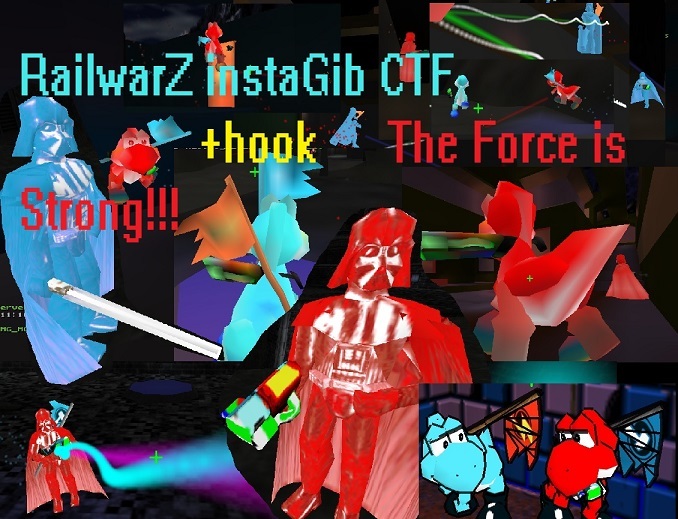 2016 Quake 2 Railwarz instaGib CTF is Alive n Active! - Join us! 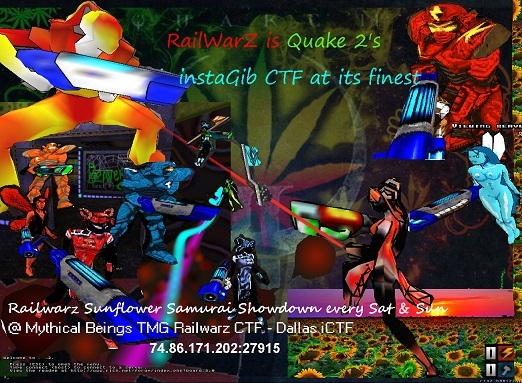 3 Railwarz servers now up! add it to steam as non steam game. Is the quake2 client released for free? If not, is the download properly licensed and legal? Please confirm. Also, please use smaller images or thumbnails. Just thinking out loud here.... 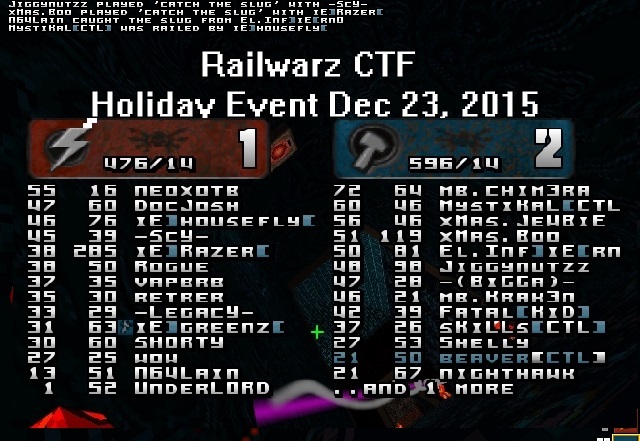 But maybe there can be support for Xonotic clients to Quake 2 Railwarz so they show up in our serverlist? (09-12-2016, 01:16 AM)PinkRobot Wrote: Just thinking out loud here.... But maybe there can be support for Xonotic clients to Quake 2 Railwarz so they show up in our serverlist? Yes please Make it happen. Quake II Starter is a free, standalone Quake II installer for Windows that uses the freely available 3.14 demo, 3.20 point release and the multiplayer-focused Q2PRO client to create a functional setup that's capable of playing online. 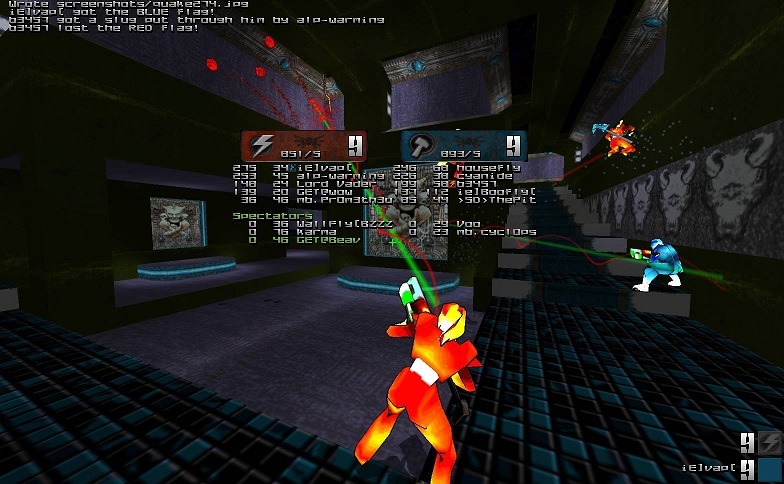 so yes all q2 mulitplayer clients are legal and do not come with the actual single player quake2 campaign just a couple demo maps for single player..
theres 3 railwarz servers in northa america. we play on just 1 at a time. the youtube video is a bit more accurate to what default skins n textures look like i have some very ugly custom textures was experimenting and have been trying various custom models to entertain myself.. currently its Darth Vader and Yoshi Railwarz CTF opposed to male and female. look forward to playing with anyone who is interested and helping them get setup if needed! Thank you for clarification and for resizing the images, appreciated. this extra map pack should complete any missing maps that are not included. he runs a Rail CTF server out of BC Canada might be easier for new comers who are not used to the speed that many in Railwarz are used to. the hook settings here are slowed down quite a bit.